QuarkChain - technical superiority over others or HYIP? So, there was a big desire to understand, what is the secret of QuarkChain success? At the moment, everyone knows about the project who is interested in crypto-currencies in one way or another. There are many reviews from all communities, amateurs and enthusiasts. Grades from the highest to the most highest - everyone wants to participate in the project. There is a reasonable question: Is this a good project technically or is it a competent marketing project brought to the top? 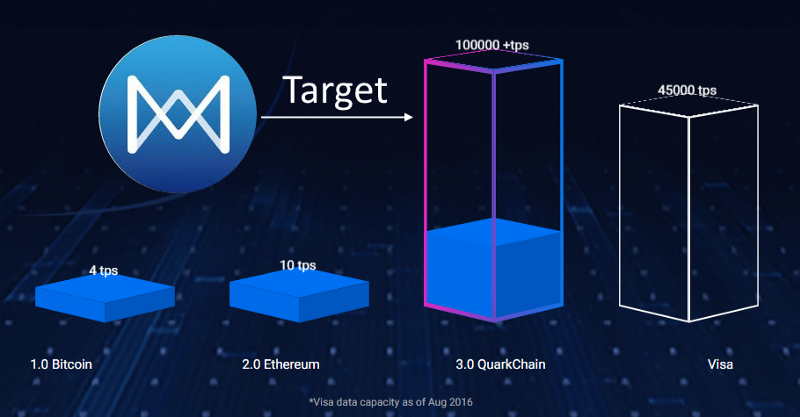 The main purpose of creating QuarkChain is high bandwidth in an arbitrarily scalable, decentralized network. The application of this product is quite specific - the use in the global economy for making secure transactions. The well-known problem of operating blockchain networks is that a small amount of transaction is processed per unit of time, which does not allow them to compete with such standards as Visa. It is this project that is going to establish a new world standard of the economy and establish a new threshold of processed transactions per unit of time. ⦁ QuarkChain will be implemented as a two-tier blockchain system: the first level will be flexible with support for shading; the second level is the root lock, which confirms the blocks of the first level. ⦁ Network security is guaranteed by equidistant mining: to ensure the security of all transactions, incentives are distributed in such a way that at least 50% of all capacities are allocated to the root chain to prevent double spending. ⦁ Decentralized scalability: in other networked networks with high throughput, one data processing unit is incredibly expensive, which entails centralization. QuarkChain, on the contrary, allows several cheap nodes to unite in a cluster and replace a complete node. ⦁ Effective transactions between shards: transactions between shards in QuarkChain can occur at any time and are confirmed within minutes. The transaction speed between shards increases linearly with the number of transactions. ⦁ Simple account management: only one account is required for all shards in QuarkChain. All crypto-currencies from various shards are stored in one clever purse. ⦁ Support for smart contracts. These basic principles of building blockchain QuarkChain give some idea of ​​the operation of the network. 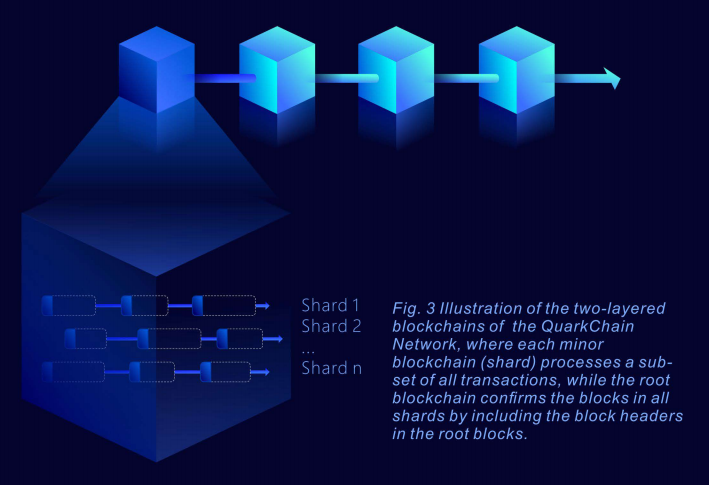 The basic idea that scalability is achieved through shading, while the transaction time inside the shard does not increase, with the growth of the entire network. 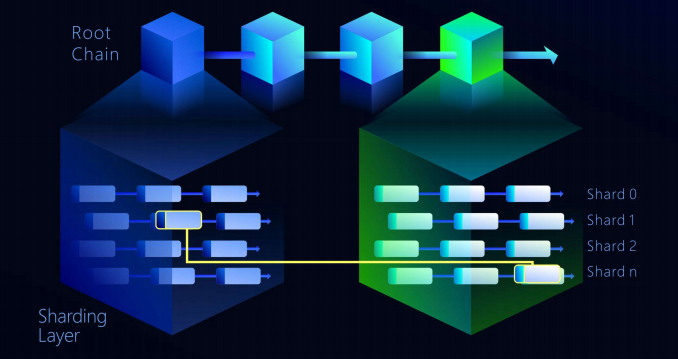 For this purpose, the network blockchain is divided into 2 levels. It is interesting to understand this better, which will also give an understanding of the reward of mining. a) transaction in one shard, where the input and output addresses are in the same shard. b) a transaction between different shards, when the input and output addresses are in different shards. The QC network fully supports these two types of transactions. Any user can create a transaction of any type at any one time. Each shard confirms its transactions independently of the others. Therefore, as the number of shards increases, the number of transactions per second of the network increases. Confirmation of the transaction between shards takes place within a few minutes. The network capacity for cross-shaded transactions is scaled linearly with the increase in the number of shards. 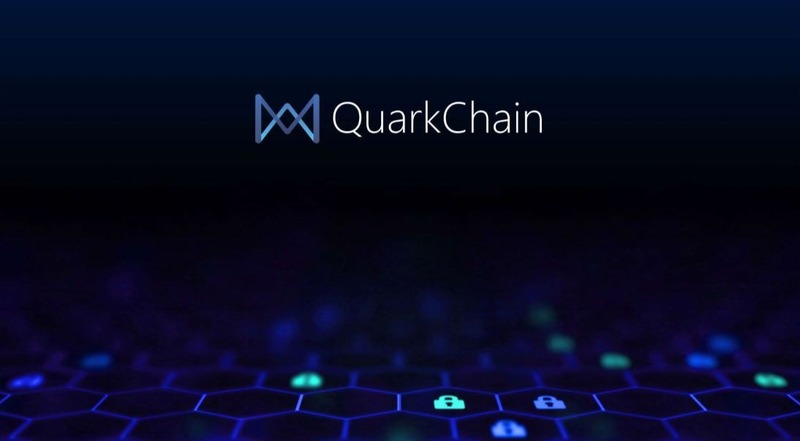 QuarkChain has several auxiliary blockchains (shards) and one root block. Each blockchain has a different reward and complexity. Miners can choose any blockchain, based on their capacities, to optimize the benefits. ⦁ Hash power is distributed evenly over the shards. This means that all shards are mined evenly and therefore the capacity of the system grows with the increase in the number of shards. So, in general this project looks very good, which is confirmed by the results of tests of throughput in 2279 transactions per second during test runs of the network. It seems that the project has received high marks deserved, as the architecture of the project looks harmonious and holistic. There are no drop-down or unaccounted for elements, the potential for further development of the network of detachment is very large. The potential of the project is seen with a margin, much depends on further implementation. I will add from myself that this is the project that I want to see, with new ideas and attempts to implement something fundamentally new, but to repeat existing in a new wrapper.